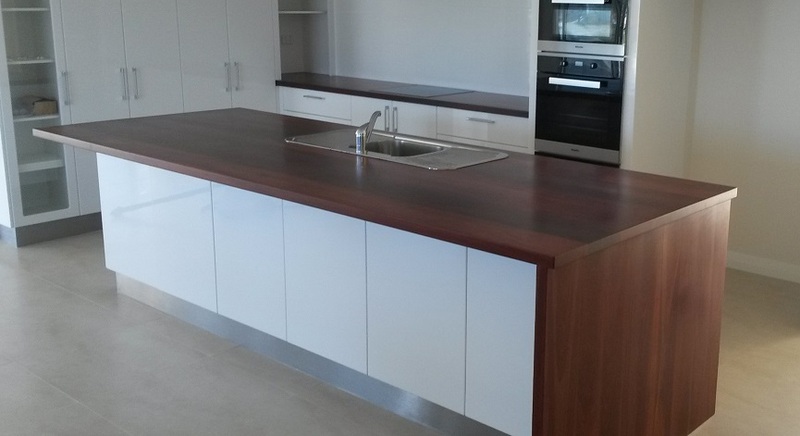 NE Timber Benchtops manufactures and installs high quality solid timber benchtops for a range of domestic and commercial applications. In the home – kitchens, bathrooms, laundries, bedrooms, bars, outdoor alfresco areas. 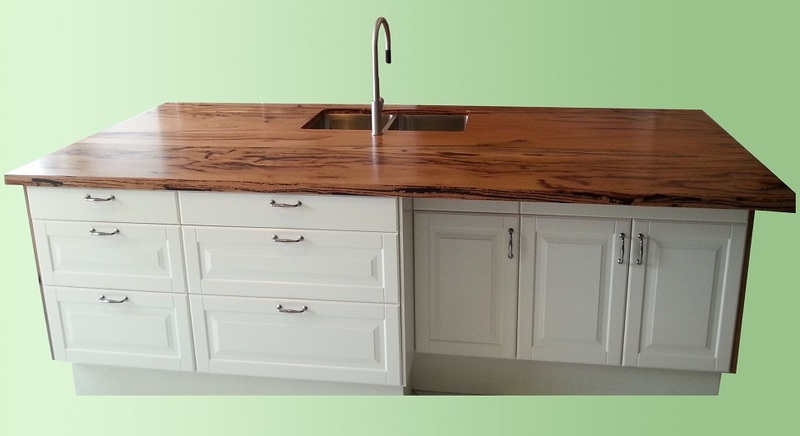 We supply quality bench tops to builders, kitchen manufacturers, cabinet makers, interior designers, and home renovators. We are located in Perth, Western Australia, but can provide tops throughout Australia. 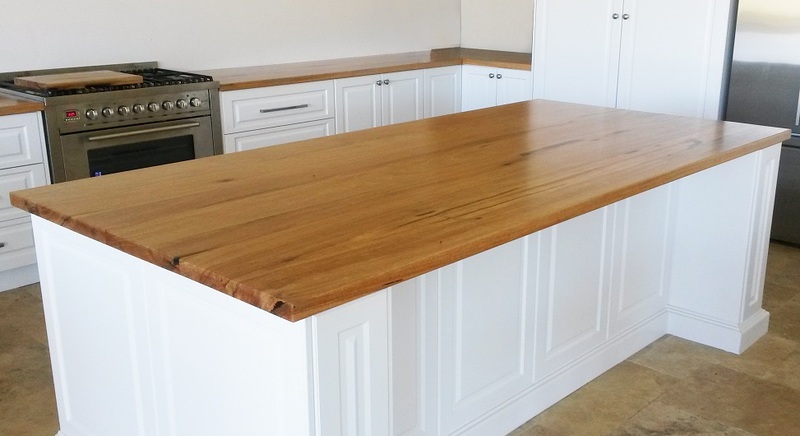 Solid timber bench tops are a viable alternative to other bench top materials. We would be pleased to give you a quote so you can make a comparison. 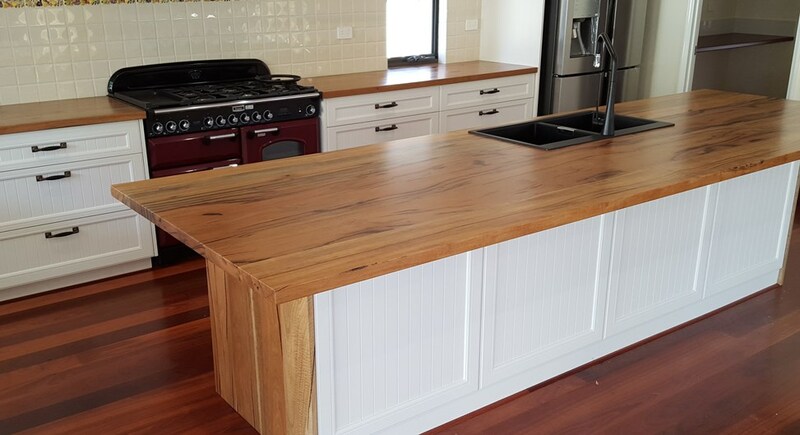 The rich grain of a natural timber bench top provides a high quality feature that enhances your home and will be the envy of your visitors. 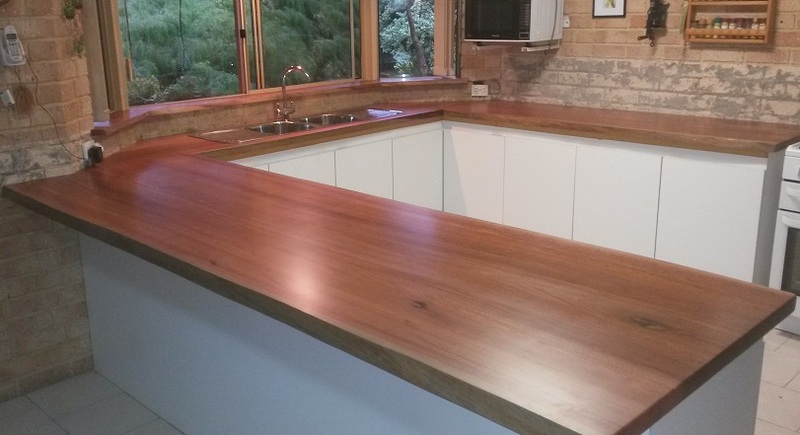 Bench tops can be made from a range of local and imported timbers. Jarrah creates a classical rich feature, and marri is used to give a light appearance with characteristic gum vein features. 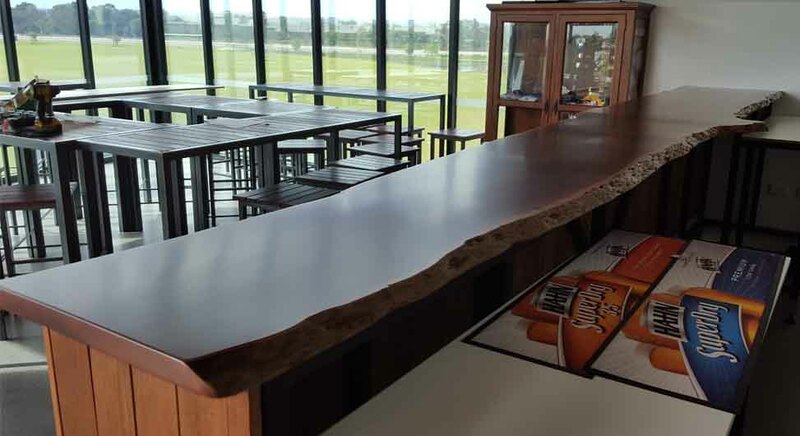 Oak, sheoak, blackbutt and spotted gum are light timbers that are particularly suitable in more modern homes. Choose from either a conventional or natural edge . 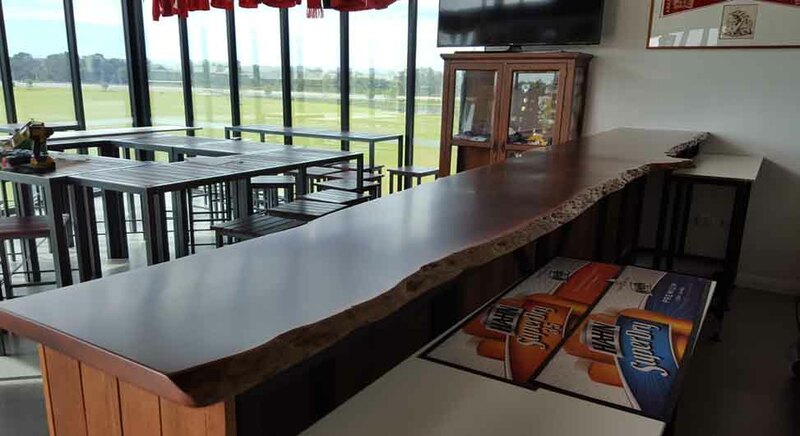 Our timber bench tops are usually finished with a two-component polyurethane that gives a superb quality finish which is extremely tough and durable, being resistant under normal use to scratching, impact, heat, water, oil, alcohol, and staining from liquids. 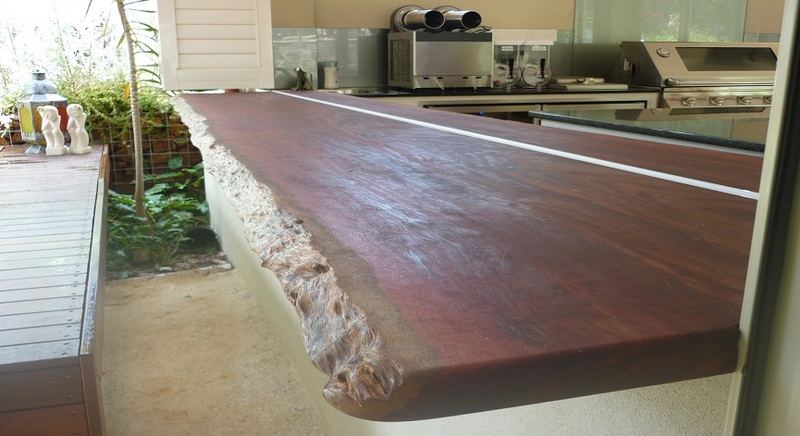 This assures that your bench tops will maintain their quality and appearance. An oil finish can also be used in some situations, particularly for outside use. 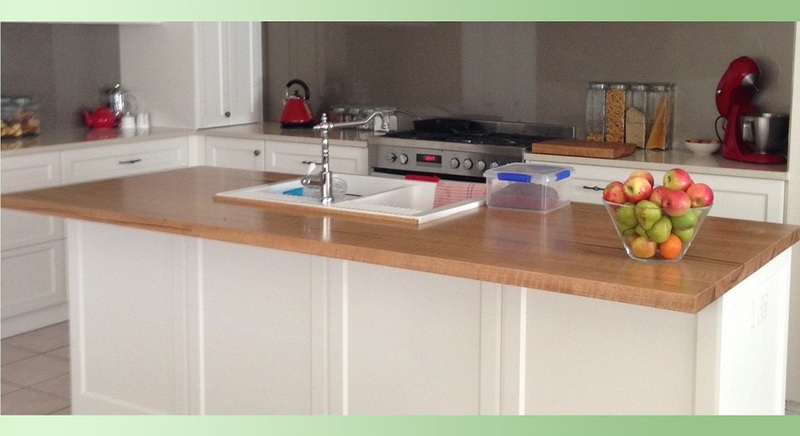 NE Timber Benchtops manufactures timber bench and bars tops for inside and outside your home. We also manufacture solid timber doors, drawer fronts and panels for kitchen and bathroom cabinets. 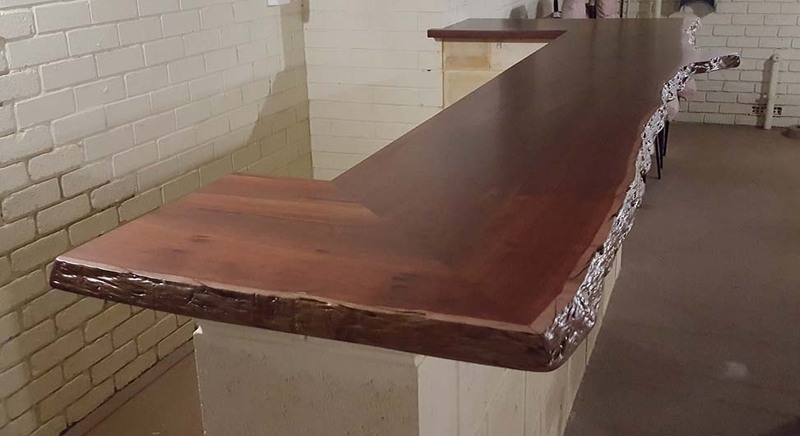 Our solid timber bench tops are popular for commercial use. 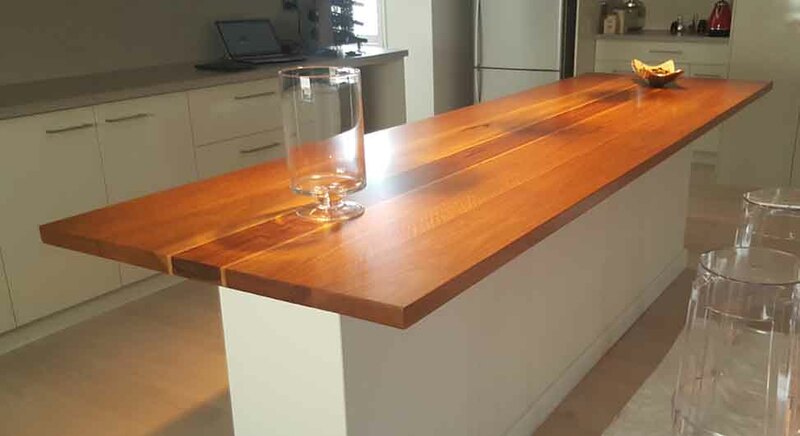 Timber bench tops can be manufactured using many different options to create the greatest feature – a range of dark and light timbers, single slabs or laminated boards, thicknesses 20mm to 50mm, different standard edge profiles or natural edges, different joins to suit your design, and polyurethane or oil finishes. Tops come with cut outs for appliances and sinks. 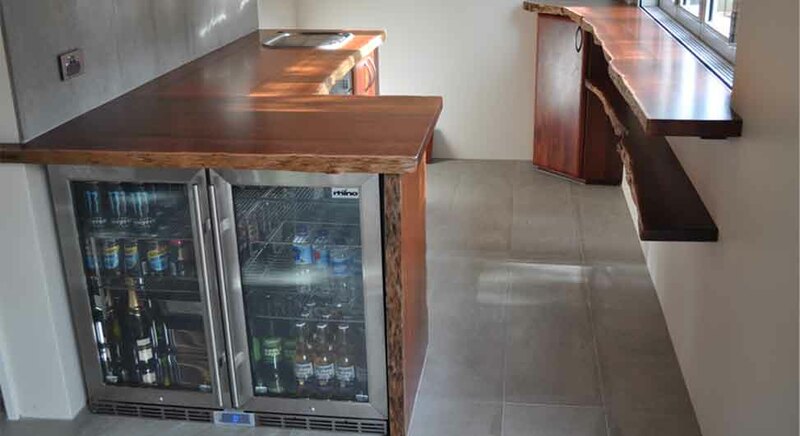 NE Timber BenchTops manufactures its products in Perth, Western Australia. We are proud to support the WA Furniture Manufacturer’s Association. Interested in high quality solid timber furniture? Check out the web site of our sister business Natural Edge Fine Furniture.